HTC delivers one of the first Windows Phone 8 smartphones in the 8X, a thin slab that includes LTE 4G, an 8-megapixel camera, and a dual-core processor. The 8X's spec sheet may be full, but we found a few things it's missing. Find out what in Phone Scoop's full report. If you're excited about Windows Phone 8, Microsoft's hardware partners have a few models from which to choose this fall. Perhaps the slimmest of the bunch is the HTC Windows Phone 8X, which covers all the necessary specs and then some for a flagship device. 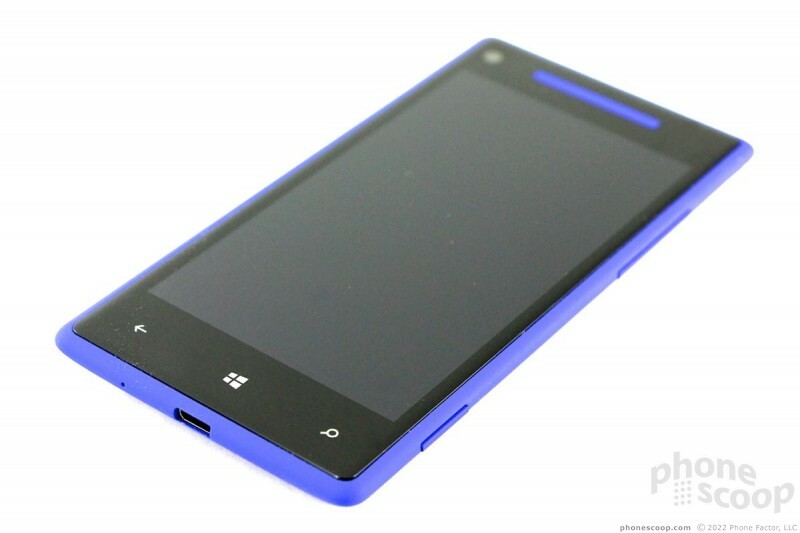 The HTC Windows Phone 8X represents a bit of a break in terms of design from previous generations of HTC hardware. Certainly, it looks absolutely nothing like that HTC Titan II, the most recent Windows Phone hardware from HTC, which hit AT&T's shelves earlier this year. The 8X takes on an entirely new aesthetic, which was inspired by the blocky Windows Phone Live Tiles, according to HTC's designers. Gone are the curved lines (usually where two different materials or colors meet) that typically run from from side-to-side on HTC's phones. Instead, the 8X is a solid piece of polycarbonate that has hard, angular corners and a simple look. To be honest, the design doesn't appeal to me all that much. It comes off as a bit blocky looking thanks to the rectangular front face. Maybe there's something in the simplicity that I'm missing. I will say this: The color options(it comes in black, red, yellow, and purple) really make the device stand out in a crowd. There's no denying that the 8X is a big phone. It might trick you into thinking its small, but for a device with a 4.3-inch display, it should be much smaller. It's as big as some devices that have 4.7-inch displays. This can be blamed, in part, on the large bezels above and below the screen itself. HTC didn't skimp on materials or manufacturing, though. The polycarbonate shell is strong as hell. It wraps around the sides and meets the Gorilla Glass panel protecting the display in a seamless edge. When viewed from the bottom or the side, the 8X has a trapezoidal shape. The 8X doesn't really have sides as much as it has edges. 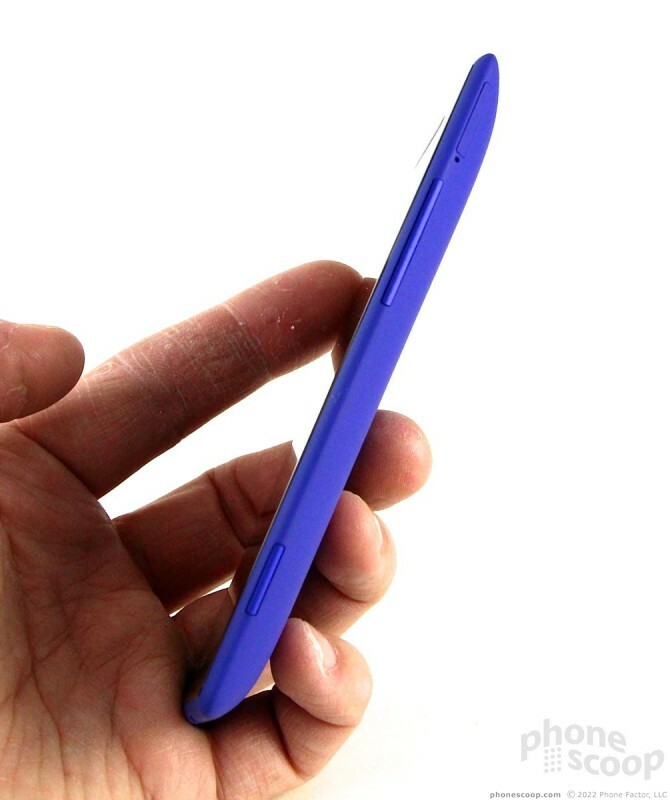 The back surface slopes sharply to meet the front of the device. 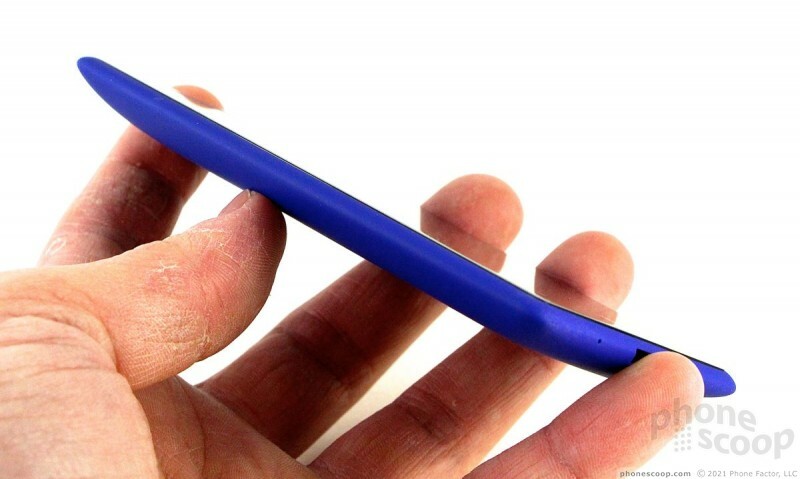 HTC did this to reduce the amount of material that actually sits in the palm of your hand. I found I could wrap my hand around the phone easily, thanks to its shape. The polycarbonate has a slight soft-touch texture and an ultraviolet layer to help protect it from the sun. It feels a bit grainy, but gives the phone plenty of grip. The result of all the design choices and materials gives the 8X really sharp points at the four corners. However, as long as you take care to put the 8X in your pocket with the screen facing your leg, it's the most comfortable phone I've ever carried around for hours at a time. 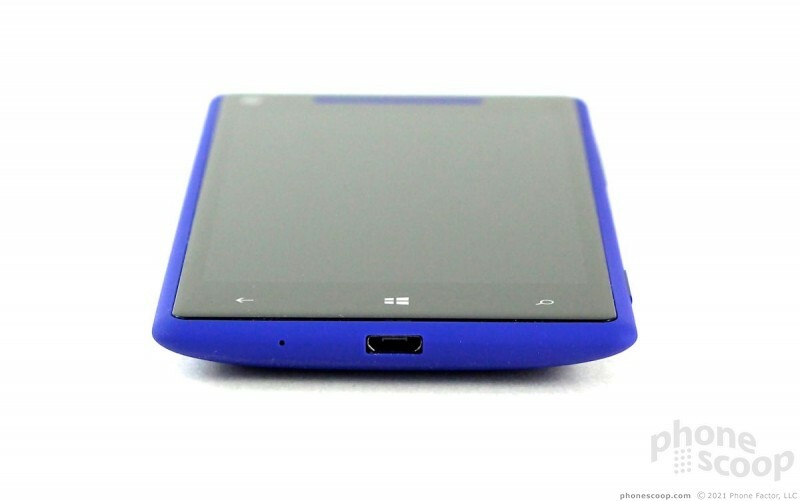 No matter which color you choose, 90% of the 8X's front surface is black glass. The glass extends past the bottom of the display in order to provide room for the three Windows Phone buttons (Back, Home, Search). These buttons are capacitive and worked well. There is nothing along the left edge of the 8X. The volume toggle and dedicated camera button are on the right edge. In age-old HTC form, the volume toggle is a sliver of a button. It has to fit on the 8X's sharp edge, after all. The same is true of the camera button and lock screen button (which is on top). All three of these buttons have terrible travel and feedback. I found them to be very mushy and unsatisfactory to press. I had a chance to voice this opinion directly to HTC's head designers. I can't say if the complaint really registered. 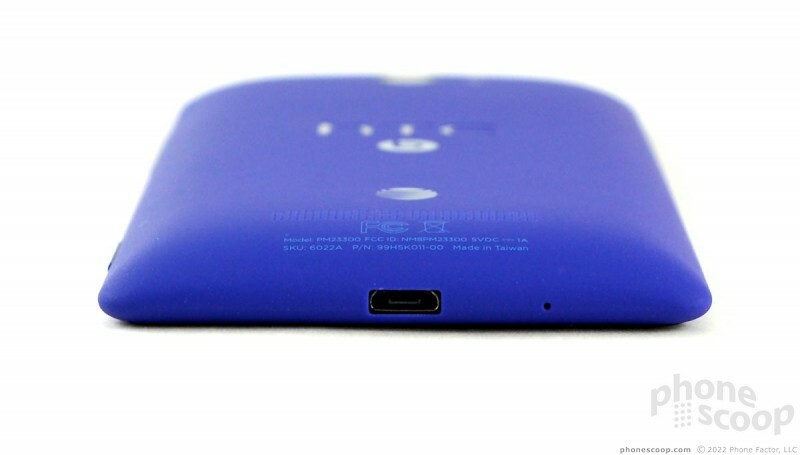 The microUSB port is on the bottom and the headphone jack is on top. Thanks to the one-piece-polycarbonate design, the battery is completely inaccessible. There's nothing to open. The battery is built into the phone. The 8X uses a micro SIM card. It's accessible via a small tray that is located along the right edge of the device. The tray can only be ejected with the help of a SIM card tool (supplied in the box) or a small paperclip. One glaring omission on HTC's part is support for microSD cards. 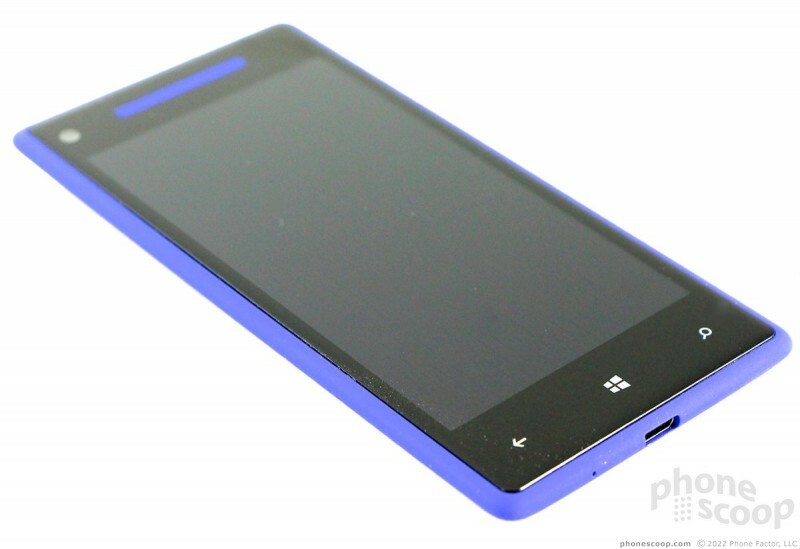 Windows Phone 8 is the first version of Windows Phone to fully support removable and exchangeable memory cards. HTC decided to skip the microSD card and instead built 16GB into the 8X, about 11GB of which is accessible to the end user. Just something worth pointing out. Looks aside, the 8X is a well-built phone. It has to be one of the strongest and highest-quality devices from HTC that I've tested. 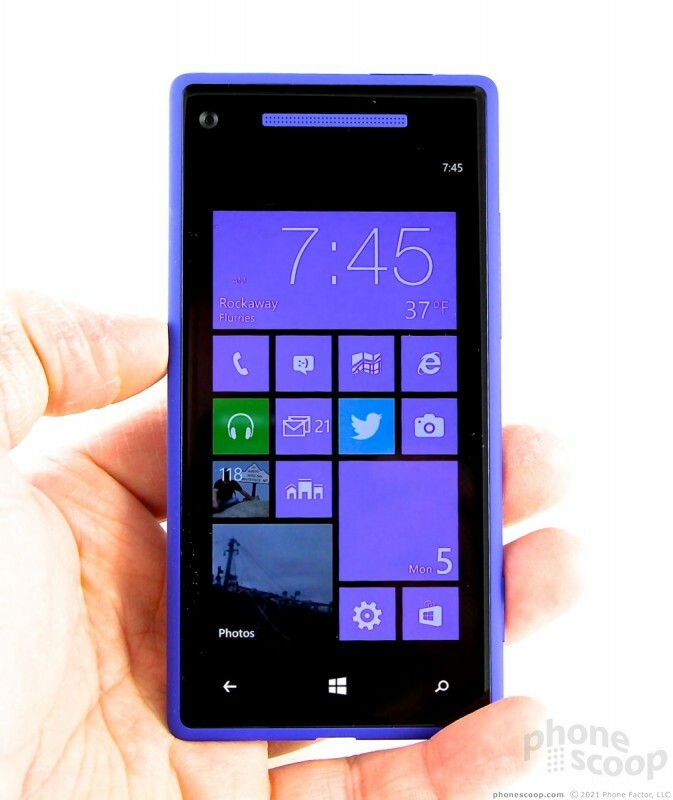 Microsoft has tapped HTC to build the iconic launch phones for Windows Phone 8. 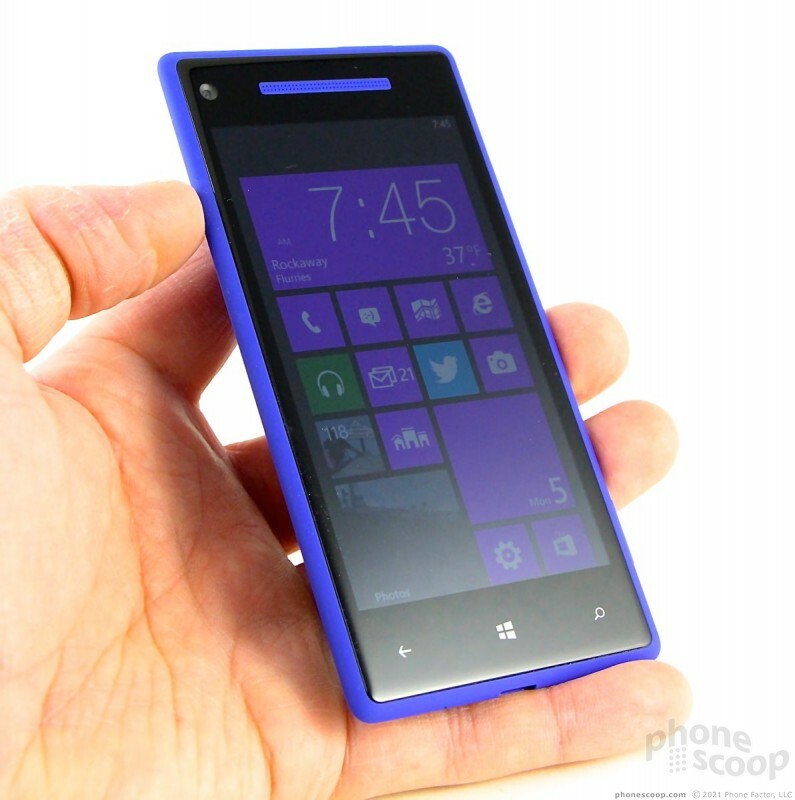 These sibling phones are similar, with the Windows Phone 8X being the higher-end of the two. 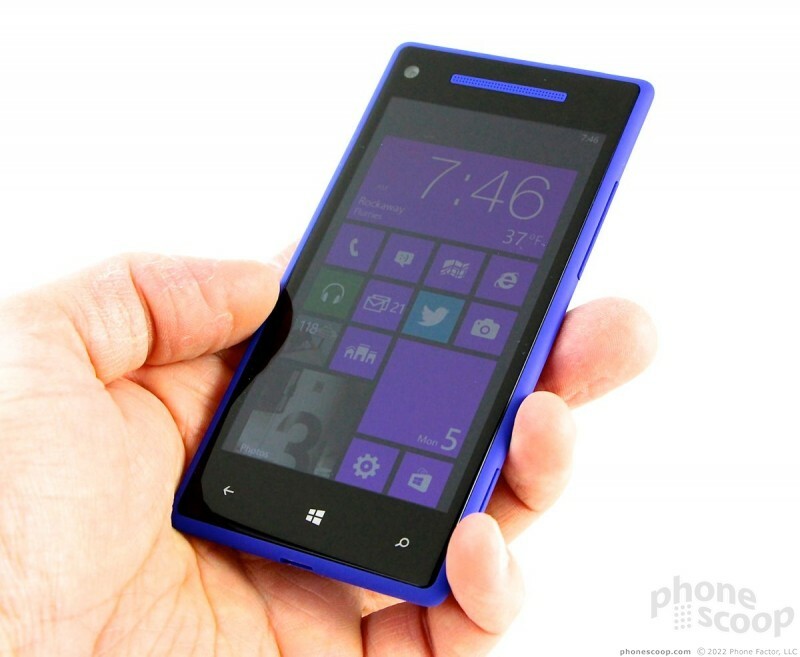 Best Buy has made the Nokia Lumia 920 and the HTC 8X Windows Phones available for preorder on its web site. Best Buy is charging $149.99 for the Lumia 920 and $99.99 for the 8X. AT&T today announced that the HTC Windows Phone 8X will be available online and in AT&T retail stores before Thanksgiving. 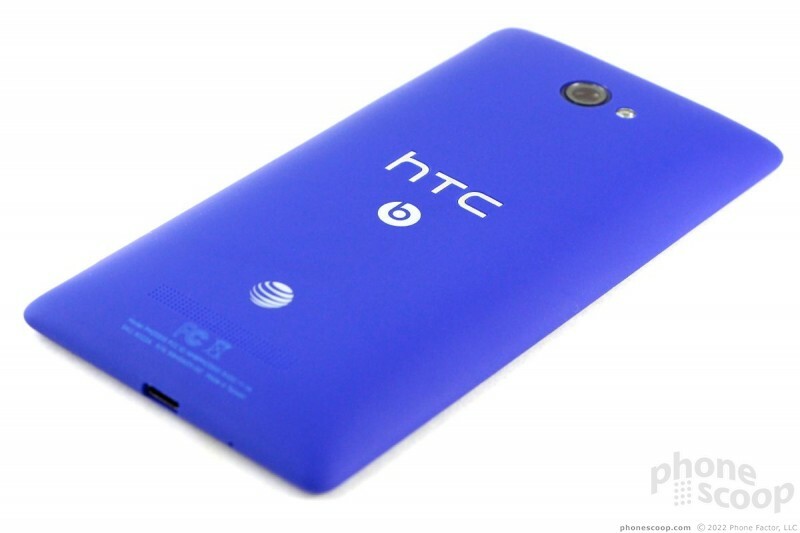 The 8X is being sold in two colors: California Blue and Limelight Yellow. 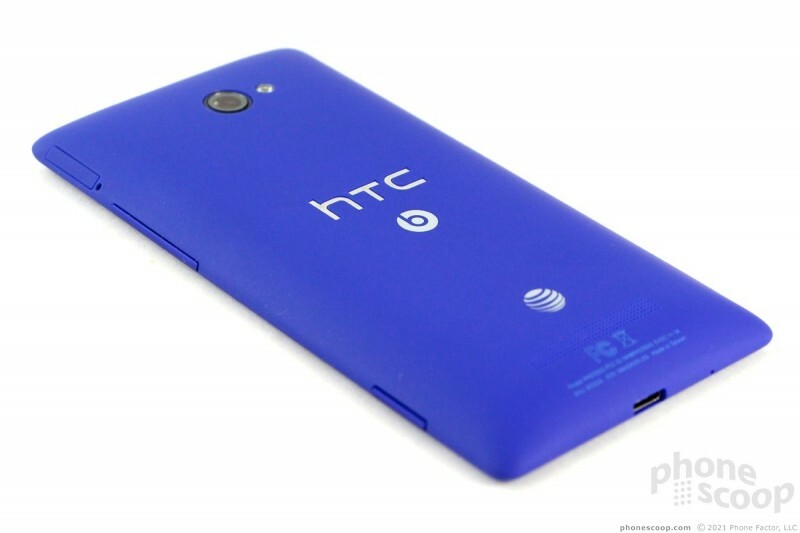 AT&T today announced that the HTC Windows Phone 8X will be available for purchase in stores beginning November 9. 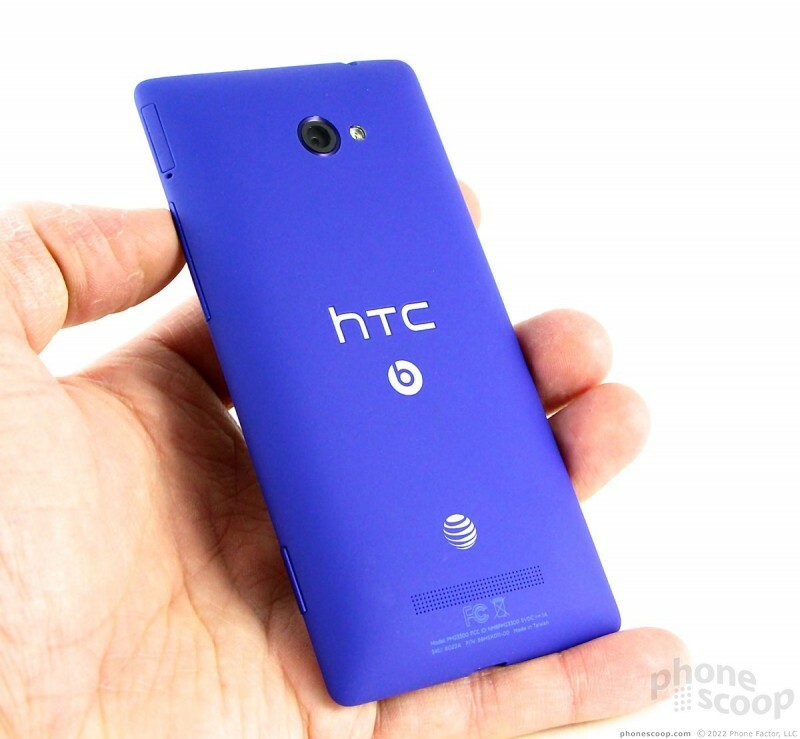 The 8GB California Blue model should be available in most AT&T stores. 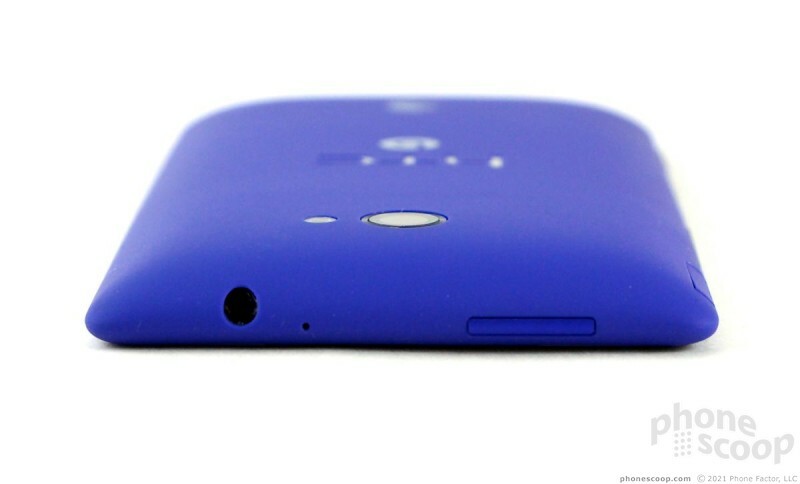 HTC today announced its first two phones for Microsoft's new Windows Phone 8 OS. 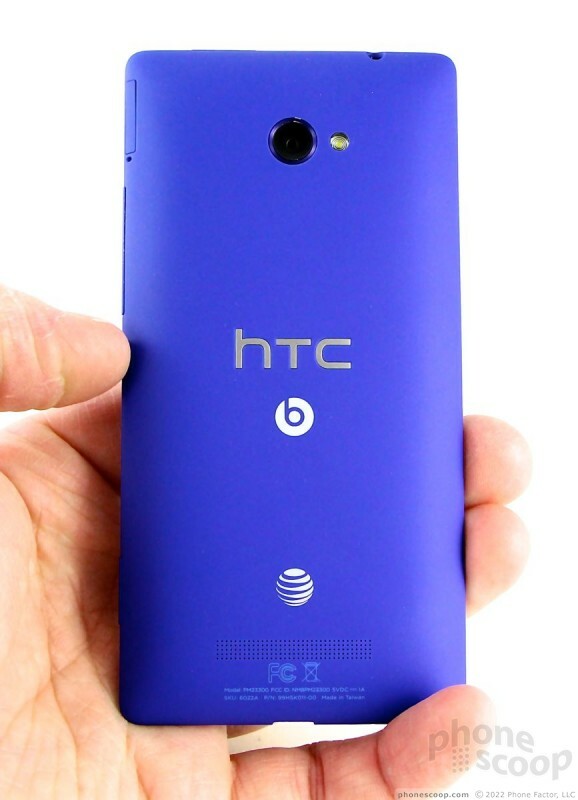 HTC has exclusive use of the Windows Phone 8 brand for the actual phone model names.